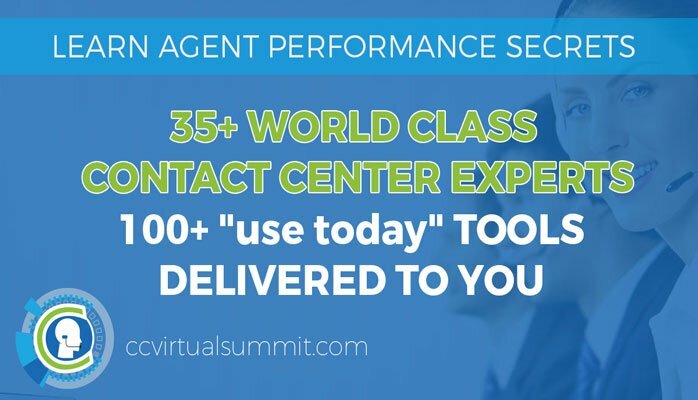 While meeting with Sean Minter of AmplifAI at ICMI’s Contact Center Expo we explored the potential value that Artificial Intelligence could deliver to the frontline contact center supervisor’s performance. AI can’t coach your agents. But what AI could do is help your supervisors to more effectively and efficiently coach agents. Goodness knows the amount of data that can be used for agent performance management is absolutely overwhelming. 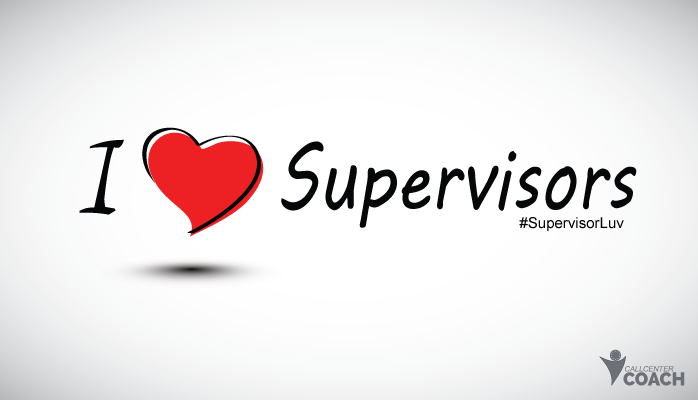 Supervisors do not have the time to collect and interpret it all and then go coach. 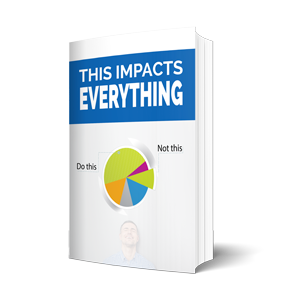 If the collection, discovery and action steps we’re provided while taking removing simple training tasks out of their work burden, quality improvements could be wildly impacted, and their impact would be immensely improved. You can also listen to Sean on the Fast Leader Show Podcast share deeper insights on agent performance. 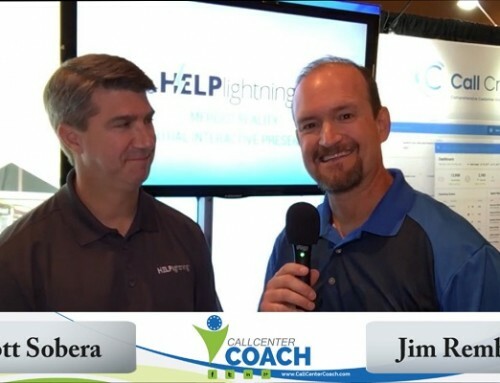 Jim Rembach: Hey this is Jim with the Fast Leader Show and Call Center Coach and I’m here with Sean Minter of AmplifAI. Sean, how to help folks get over the hump? 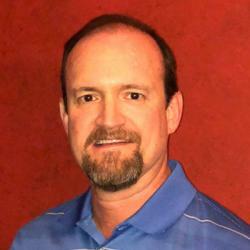 Sean Minter: Well, today we believe folks have way too much data coming to them from different systems, to agents and managers about how they’re performing in many different ways. 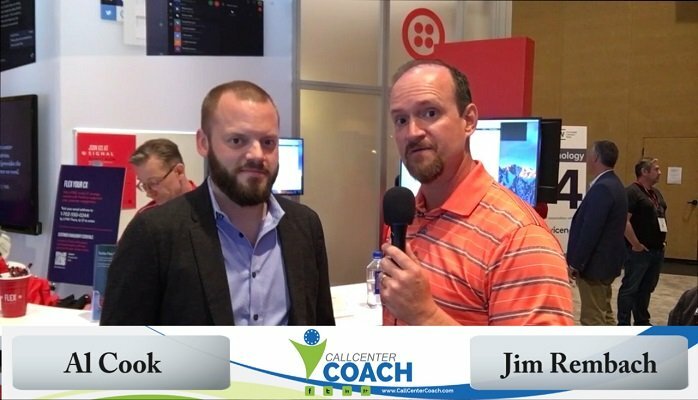 And we basically help them take that data – understand what they’re good at not good at and personalize training and coaching tasks directly to them to help them get better, versus focusing on generic training – we push dedicated training and coaching task based on the data that were normally getting. 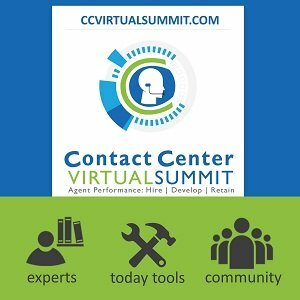 Jim Rembach: Okay, so a lot of people when they hear artificial intelligence especially you can say in general news today or even into contact center related news – you know it is about replacing agents. But that’s not what you’re talking about. Sean Minter: No exactly. I mean to be honest with you, the better use of Artificial Intelligence is to help make people better, not replace them. Replacing people will always continue, that’s been going on for twenty years. And Artificial Intelligence isn’t going to make any difference, it’s going to continue. Which means the easy work gets done by the machines. But the people end up having to now do more of the hard work. So how do we use Artificial Intelligence to actually make the people who are now doing harder work better in terms of it making a better customer experience – making the better at sales – making them better on soft-skills – making them better on all the things that actually make a difference to the company. 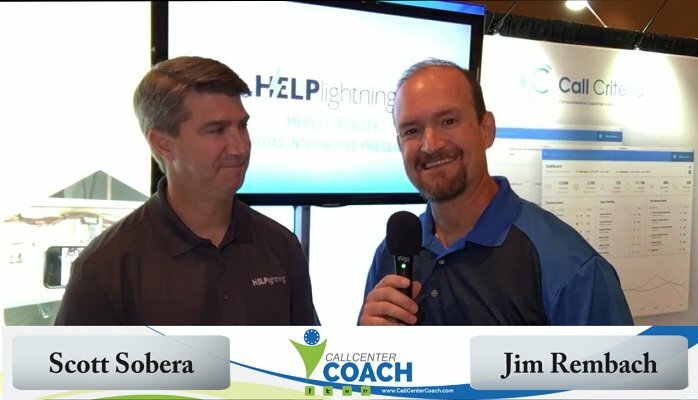 Jim Rembach: Okay, so now thinking about your background in the in the BPO or business process outsourcing space – I start thinking about agents needing to get quickly up to speed. How is what you’re doing affecting that. Sean Minter: Well, what we do is we personalize what’s called micro-learning. 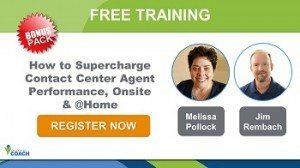 So, think of once you put your agents on the floor for the first time they start taking calls, there’s a standard process you’ve taken them through – a week or two of training. And you expect them to go off on the floor. Now you’re dependent on their manager to track every single thing that’s going on with them to understand what they’re good at not good at. And we know manager is the hardest job in the contact center. How much time can they really spend with every single person? How much of their data can they really spend time looking at? How many of their calls can they really listen to? This is the perfect solution for Artificial Intelligence. Artificial Intelligence can look at all that stuff on a real-time instantaneous basis and really understand what’s going on and really let the manager know. 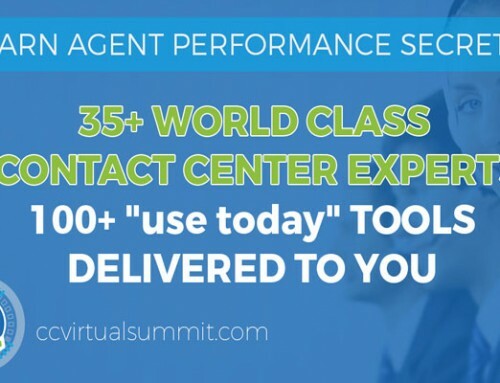 What is it that they should be doing with every agent? What is it that they should be coaching them on? Artificial Intelligence can’t coach them. Artificial Intelligence can help the manager really understand every agent without having to waste the administrative time of doing all the legwork and really focus on their people-to-people job. 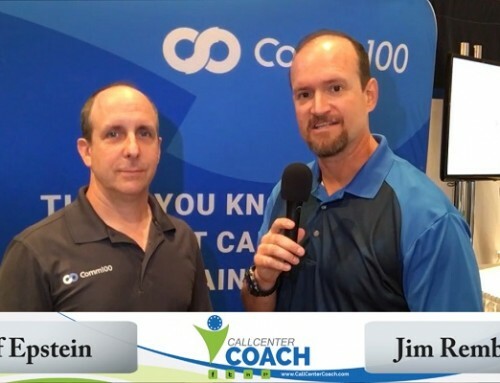 Jim Rembach: Okay, so now, you mention that frontline supervisor when you started talking about the manager responsibilities with the frontline agent. And you talked a couple ways about how it makes their life easier, but if you were to say one thing that gets impacted, what would be. Sean Minter: The one thing that managers will find after AmplifAI is implement. 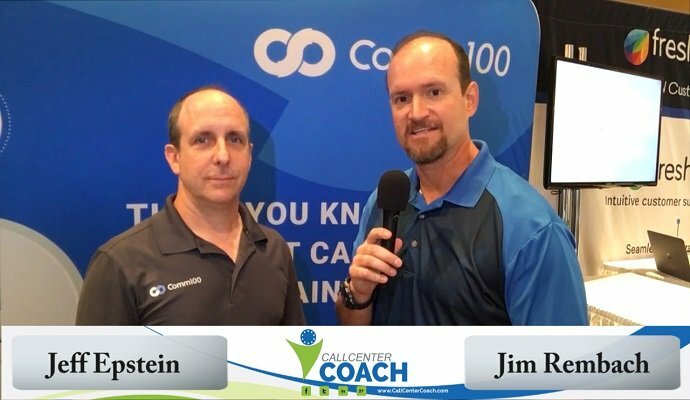 They will spend at least 50% more time coaching their agents then they used to before. Think of AmplifAI as an assistant for that first line manager. 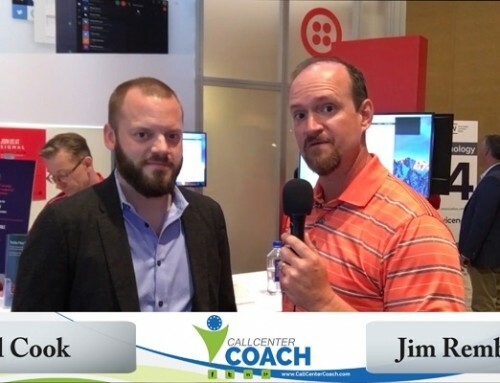 Basically, doing all the administrative work – data work – everything that a person needs to do to really figure out what does each person need, because every person that manager needs to coach, needs to be coached on something different. Everyone has positive skills and negative skills, and the positives need to be reinforced with recognition and the negatives need to be reinforced with training, follow up and coaching. And AmplifAI actually does both. It lets the managers know who to go recognize on what the good jobs are and who to go coach on what specific help they need. Jim Rembach: Sean, how do folks learn more? Jim Rembach: Sean, thank you for sharing knowledge and wisdom and we wish you the very best.